The decision to site the ITER Project in southern France was made by the ITER Members in June 2005. Detailed site studies had shown that the 180-hectare site proposed by Europe fulfilled all the technical requirements to host ITER—geological, hydrological and seismic norms, access to water and electricity—and benefitted, what's more, from a rich scientific and industrial environment. 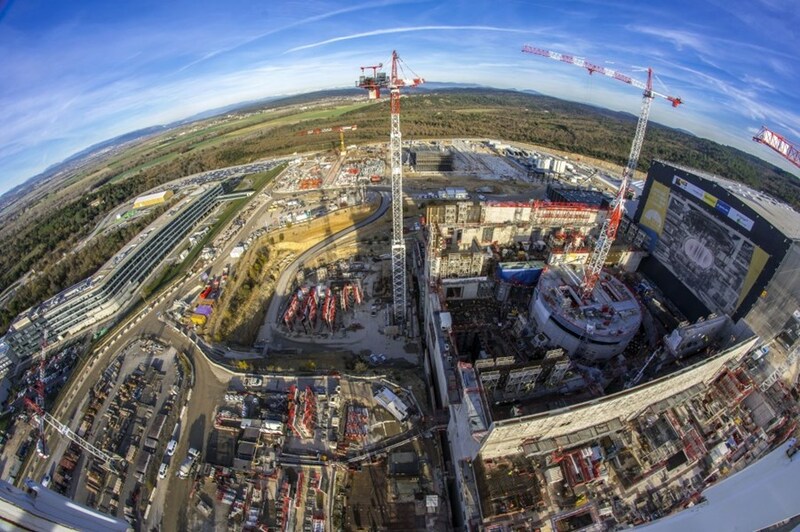 ITER's host and neighbour—the CEA Cadarache research centre—played an instrumental part in supporting site studies and in rallying local political players behind the cause of welcoming ITER to France. As the first six-person ITER team moved in at the end of 2005, CEA Cadarache provided the land, the temporary offices, electrical and hydraulic networks, and critical services such as transportation and access to a canteen and an infirmary. It also set up a specific agency, Agence Iter France, to manage France's in-kind and financial contributions to the ITER Project. In addition to contributing to the ITER Project as a member of the European Union, France has made and honoured a number of specific commitments. France has provided the site for the project and carried out preparatory works including clearing and levelling, fencing, and networks for water and electricity. It created an international school for the families of ITER employees, adapted the roads along the ITER Itinerary for the transport of ITER components and contributed (with the European Domestic Agency) to building the ITER Headquarters. At the end of the ITER experimental phase, France will have the responsibility for the dismantling and decommissioning of the site. The local governments around ITER have also been strongly implicated in the project from the site negotiations phase. The General Councils from the six départements closest to ITER (Hautes Alpes, Alpes de Haute Provence, Alpes Maritimes, Vaucluse, Var and Bouches du Rhône)—together with the Provence-Alpes-Cote d'Azur Regional Council and the Communauté du Pays d'Aix—have contributed a total of EUR 467 million. Actions for ITER in France are coordinated through several administrative bodies. Agence Iter France oversaw the site preparatory works, and it also provides welcome services to ITER employees arriving from abroad and coordinates the transport of exceptional components along the ITER Itinerary. 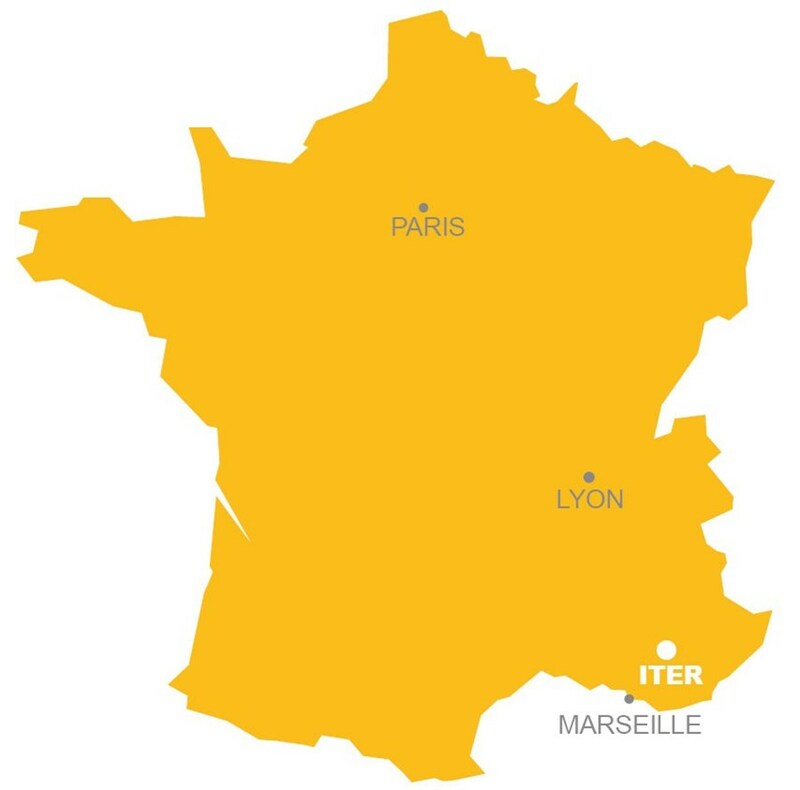 The High Representative for the implementation of ITER in France coordinates the realization of the ITER Project and ensures the representation of France to the ITER Members, the European Domestic Agency for ITER and the ITER Organization. The ITER Industrial Committee seeks to optimize economic consequences for the region by fostering the relationship between ITER and local industry, particularly during the construction and assembly phases of the project. Scientific training toward a career in fusion is promoted through an association of 12 French universities and schools of engineering that now offer a Master's degree in "The Science of Fusion." Today the Regional Prefecture and the Regional Council share the responsibility for the elaboration of a longer-term strategic and economic development plan for the Val de Durance area near ITER, including the question of housing the large influx of workers expected to participate in ITER construction. The entrance to the Provence-Alpes-Côte d'Azur International School in Manosque, France. For international scientists, engineers and project administrators relocating to the area with their families, France has committed to providing bilingual education from nursery through secondary school. The program is open to ITER families as well as to local children interested in an international curriculum. 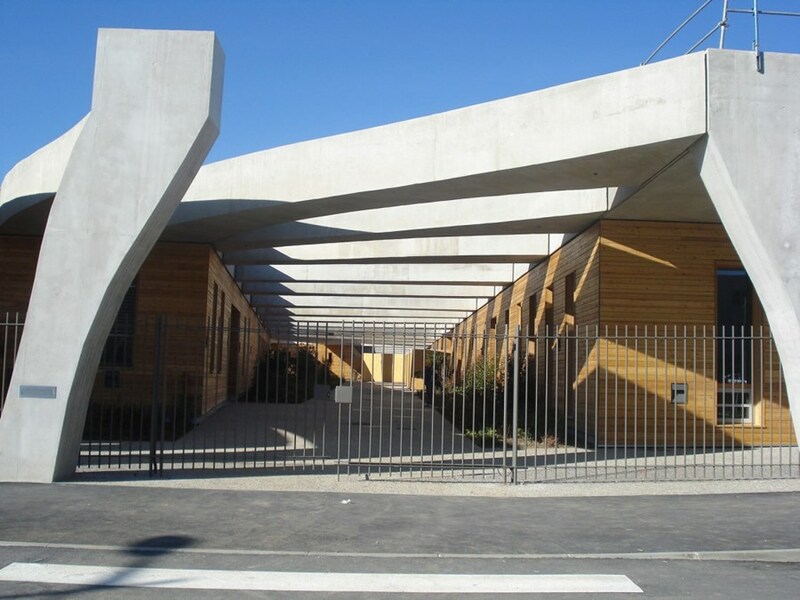 The Provence-Alpes-Côte d'Azur International School situated in Manosque began operating out of temporary housing in 2007 for 130 students aged 3 to 18; enrolment is currently at 736. Of the 41 nationalities represented at the school, slightly over half of students are from ITER families. The International School offers six language sections, instruction in ten languages, facilities for 50 boarders. Classes are taught half in French and half in one of ten ITER languages: Chinese, English, German, Hindi, Italian, Japanese, Korean, Portuguese, Russian, or Spanish. The 26,000 square-metre International School, designed by award-winning architects Ricciotti and Battesti, produces electricity through solar panels for 100% of its lighting needs. Work was carried out between 2008 and 2010 on the permanent school buildings. Financed by the Provence-Alpes-Côte d'Azur Regional Council, the innovative design and environmental sustainability of the school was recognized in November 2010, when the International School was named one of 60 exceptional OECD establishments by the 4th Compendium of Exemplary Educational Facilities of the OECD/CELE" (Organisation for Economic Co-operation and Development/Center for Effective Learning Environments). Visit the International School's website or download the full brochure here.